Painting by Gerrit Adriaensz Berckheyde (1638-1698). 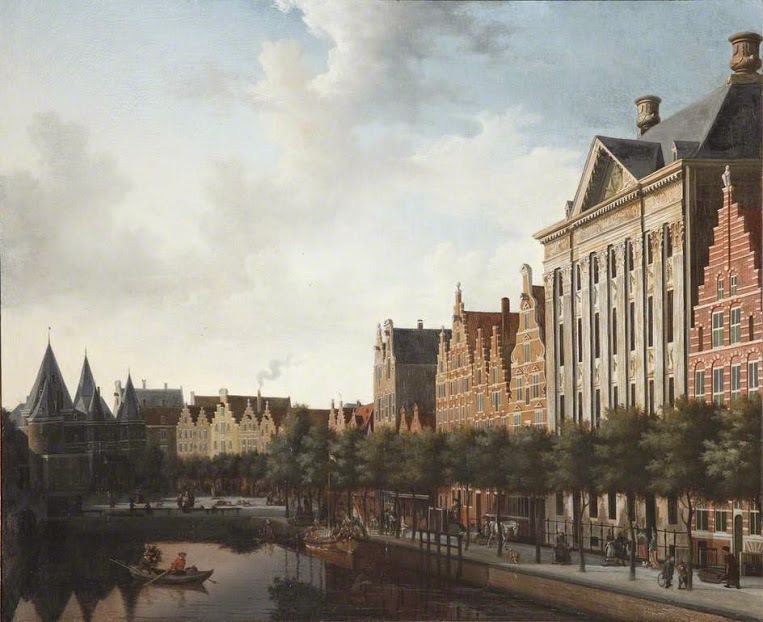 A prolific painter of townscapes of Amsterdam and The Hague. He often painted the same buildings or neighborhoods from slightly different vantage points, but did very few interiors or imaginary scenes. Compared to his contemporaries, he did not put much effort into realistic clouds, but frequently left facades of buildings in shadow, heightening the realism of the view.